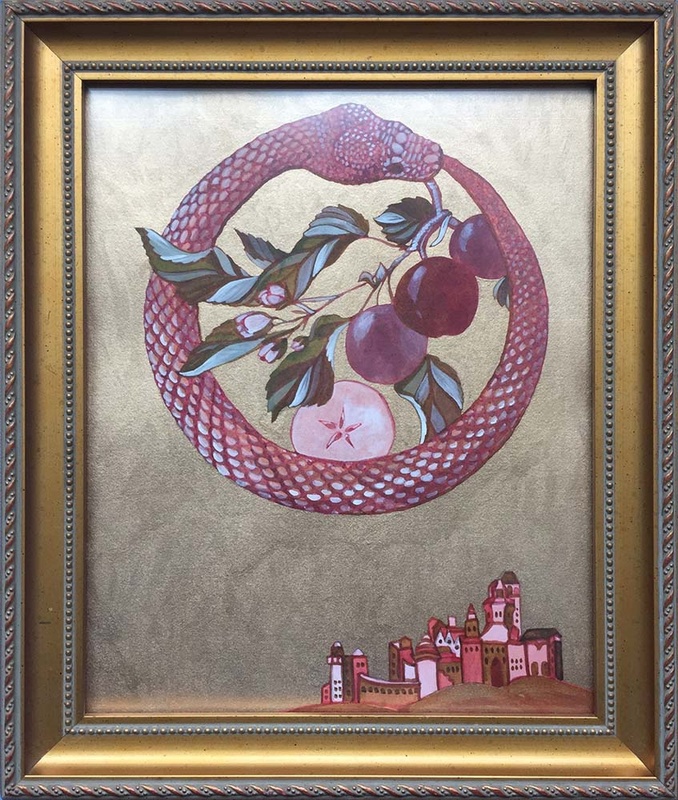 The apple harvest cycle goes 'round like the snake eating its tail, and the snake in the apple tree told us how to make cider under a full moon. My name is Caitlynn Abdow, and I'm a Pacific Northwest based, New England raised artist who fell in love with Austin during a week-long visit last October. I'm drawn to herblore, folk-wisdom and mythology for my subject matter. I think the mystery and power of old stories gives people a sense of connection to the natural world and to each other that's severely lacking in contemporary culture. I see that a personal connection to nature is necessary for people to become better stewards to our planet, and I hope that my work can aid in this. 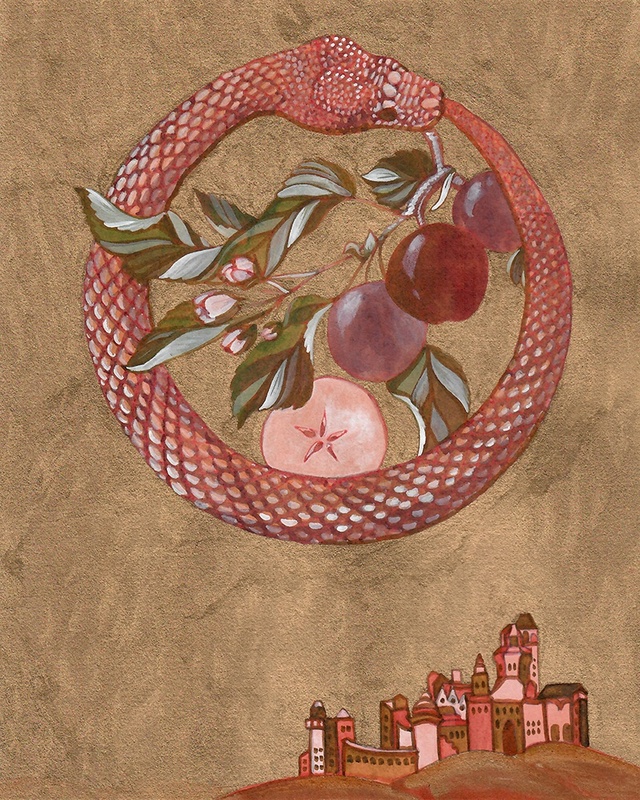 For my series of libations themed illustrations I was inspired by folklore and symbolism related to the process of growing, harvesting and enjoying the crops that produce some of our favorite drinks.